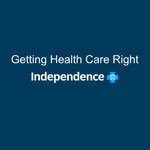 Independence Blue Cross is the leading health insurance organization in southeastern Pennsylvania. With our affiliates, we serve more than 8 million people nationwide, including nearly 2.5 million in the region. For more than 80 years, we have been enhancing the health and wellness of the people and communities we serve by delivering innovative and competitively priced health care products and services; pioneering new ways to reward doctors, hospitals, and other health care professionals for coordinated, quality care; and supporting programs and events that promote wellness. Independence Blue Cross has been a proud member of the greater Philadelphia community for more than 80 years. Independence Blue Cross offers a diversified portfolio of products and services, including medical coverage, administrative services, and pharmacy, dental, vision, and other specialty services. Through prudent oversight and management of our customers' and members' financial resources, the overwhelming majority of each premium dollar is spent helping our members get and stay healthy. 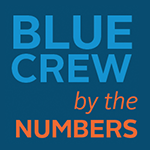 The Blue Crew Corporate Volunteer Program plays an essential role in our mission to enhance the health and well-being of the people and communities we serve. A launch pad for new ideas and big thinking, to propel health care for all. We're transforming health care in the Philadelphia region and the nation. Health care is the challenge of our time. Independence is empowering our members, leading transformation, innovating alongside providers, and standing with communities — all in the name of meeting the challenge of Getting Health Care Right. 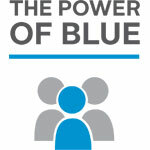 The Independence Blue Cross Foundation is a charitable, private foundation, whose mission is leading solutions for a healthier community. 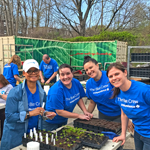 Learn more about how the Foundation is supporting private, nonprofit community health center clinics, strengthening the health care workforce, collaborating with wellness partners, and building healthier communities.